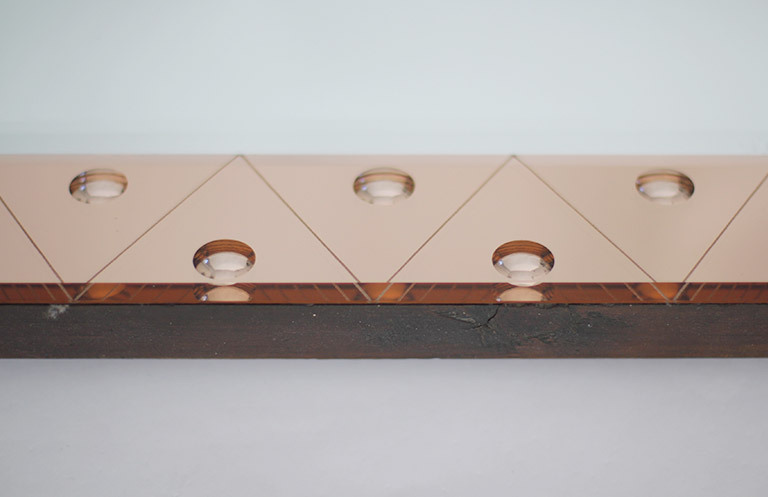 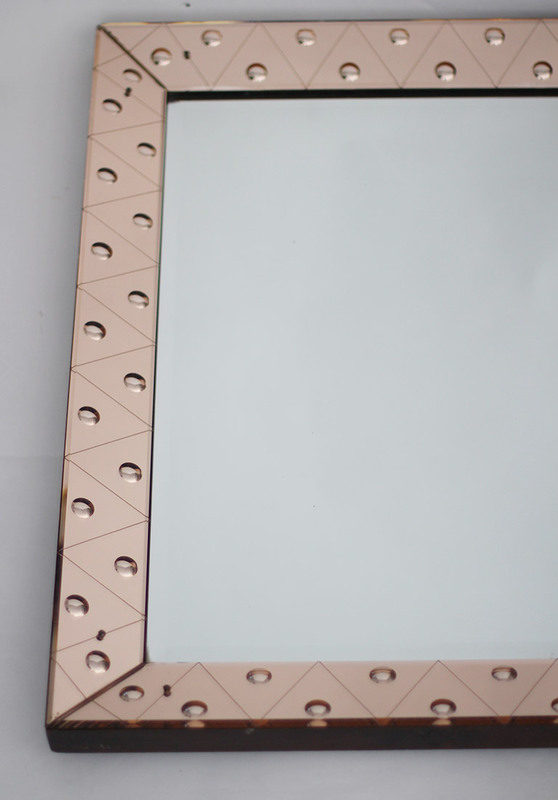 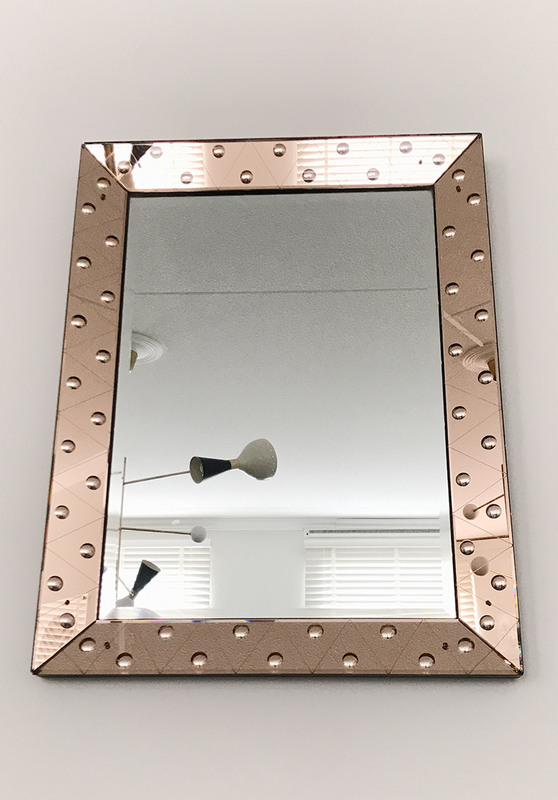 Large dotted pink glass mirror with beveled frame and etched from behind with convex dots. 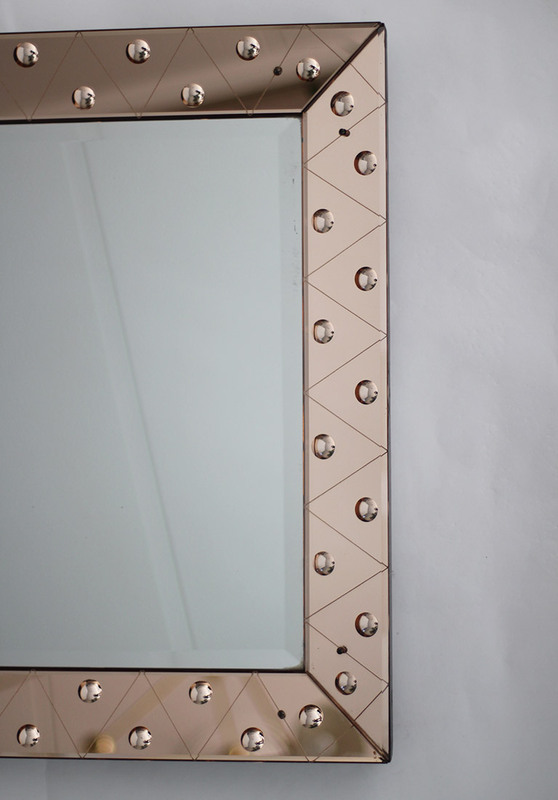 The intricate details truly make it a stand out. 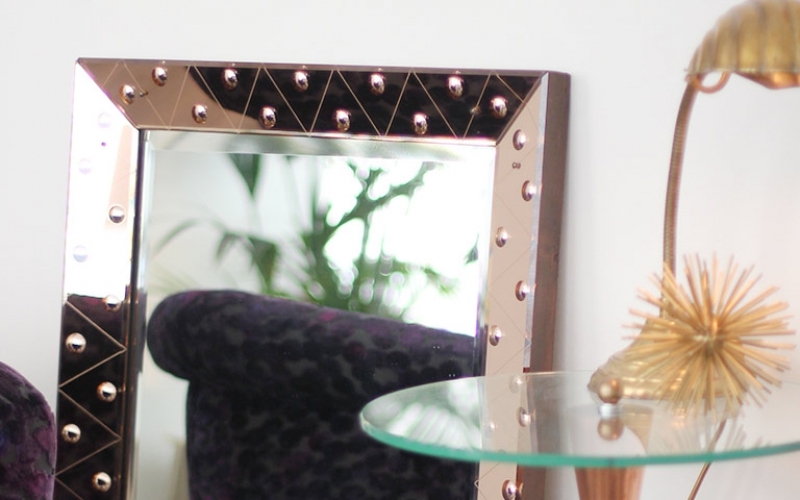 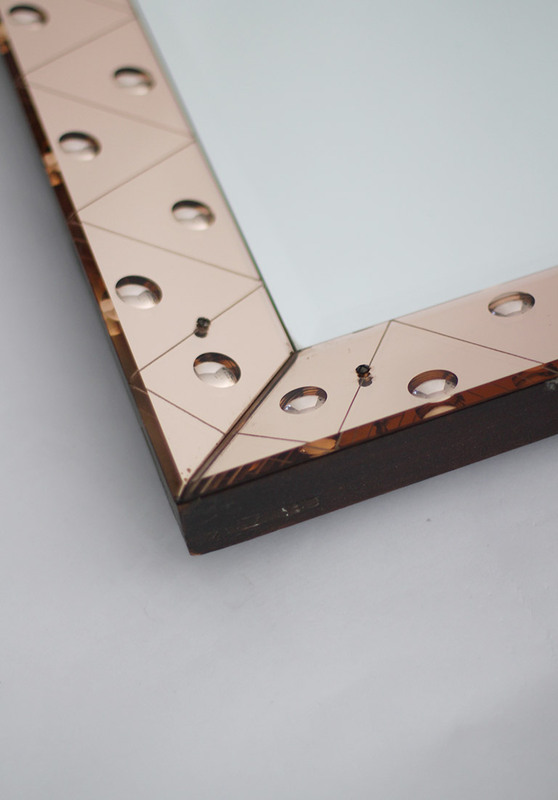 This mirror wil brighten any room.